The over three thousand pictures were taken in the Southern Hemisphere’s autumn of 2008, and tiled together into a coast-to-coast view of the entire continent with its coastal waters. 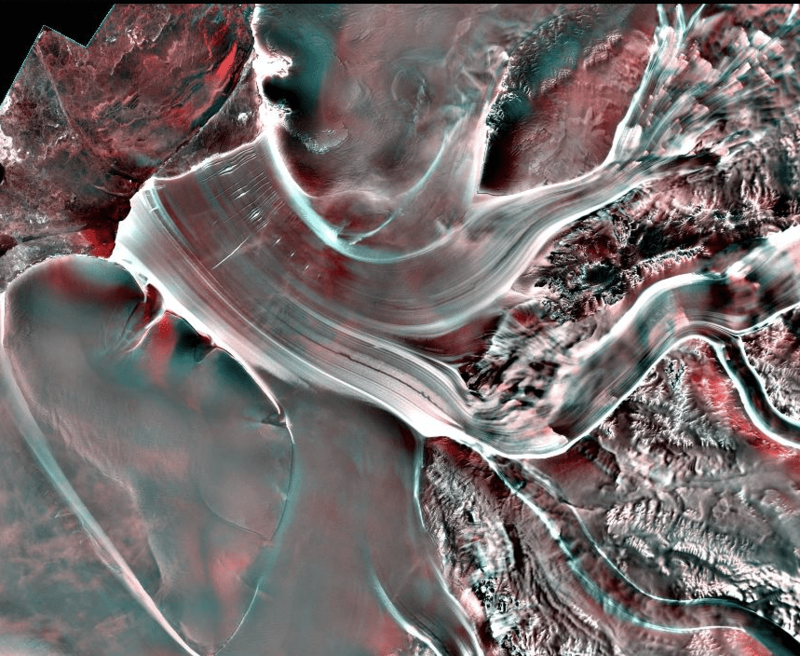 The result is not only lovely to look at, but it’s also very useful – enabling researchers to better study the ice changes that occurred in Antarctica, says Ellsworth LeDrew, director of the Canadian Cryospheric Information Network and a professor at University of Waterloo. This will enable a better understanding of how climate change affects Antarctic ice, and will also be useful for ships crossing the area. The information and pictures are freely available online, via the Polar Data Catalogue. “It used to be that a lot of data were inaccessible” to non-specialists, says Ellsworth. 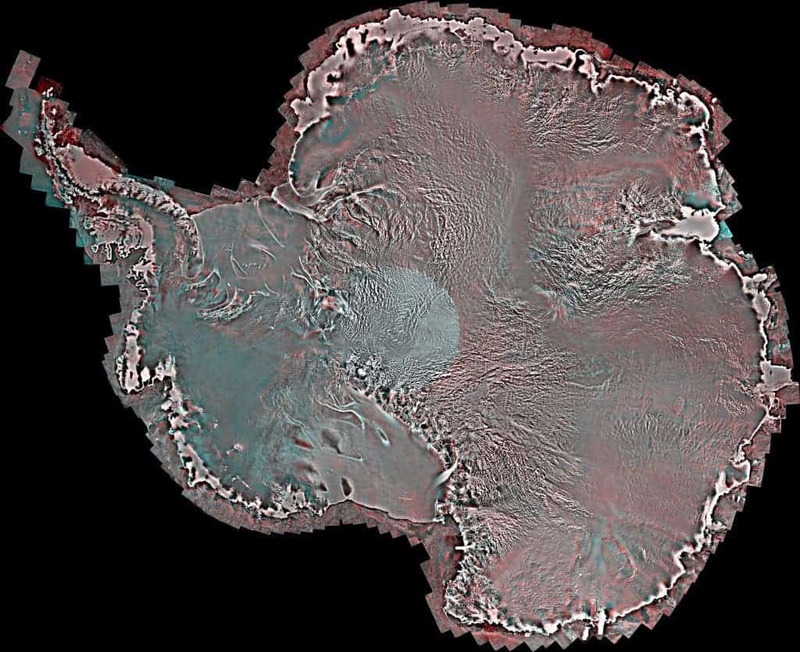 Now anyone will be able to find and use the maps to better understand science, environmental issues and political policies affecting Antarctica. The data from 1997 will also be put online in the same collection, hopefully “in the next few months,” he says. Furthermore, the Polar Data Catalogue will allow users to search for the individual tile images of particular Antarctic locations, making the data easier to store and use. The different colors you see here represent the different wavelengths – in other words, they represent the characteristics of the ice they are passing through and reflected by. “These colors in a nutshell represent different physical characteristics of the ice, which the scientist can interpret,” LeDrew says. “It’s what is called polarimetric information. It’s like looking through a camera’s polarizing filter. Some wavelengths are up and down and some are side to side. These colors represent these wavelengths and different wave bands,” which to an informed eye will reveal much about the condition and motion of glaciers, ice shelves and sea ice. “For example where the edge of a glacier is, or sea ice shelves that have broken off,” he says, or ice thinning as landbound glaciers expand towards the sea. A closeup view of Antarctica near the Ronne Ice Shelf CSA/MDA/CCIN University of Waterloo. Furthermore, the images also highlight a bit of the ice below surface. Images and statements via PopSci.